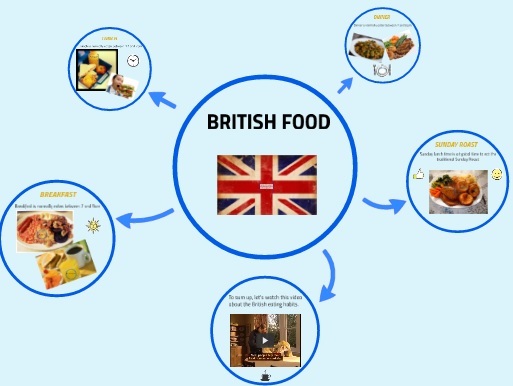 To let your pupils know some British eating habits, there is this Prezi presentation that I made. It focuses on the eating hours and the main typical meals british people have for breakfast, lunch and dinner. As well as the famous Sunday roast. At the end of the presentation there is an esl video which will let them have a closer approach to the British food culture. I know the video is a bit old fashioned, but it has got subtitles and it is quite well done for teaching purposes. Finally, you could have your students in pairs and ask them to do the following task. 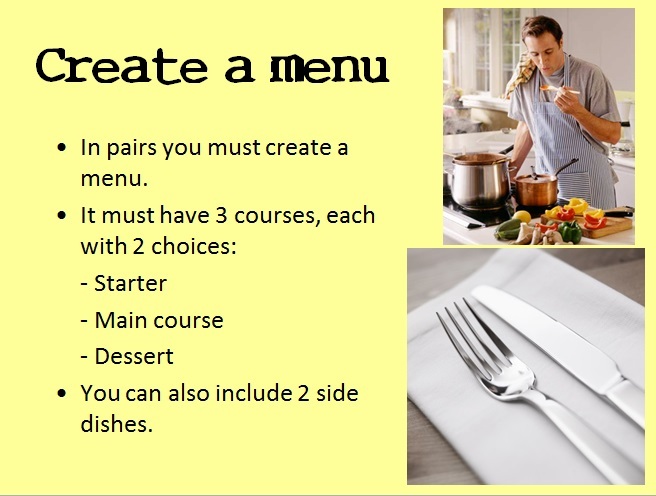 Once they are done, they should make their own Prezi presentation and share the work done with the rest of the class in a cooking blog that you could create so everyone can have a look at the other menus.